Lying, which has always been done by human beings, was made legal in all free market political economies in 1892 when an English Court of Appeal validated Puffery. It consists of exaggerated and even false claims mainly about products or services. In political contexts, any subject can be puffed. People often say, “all politicians are liars.” Yet many are bewildered by the current chaotic state of American politics. The President is a prolific and inveterate liar, yet his supporters believe him even when the falseness of his claims is evident. Conventional wisdom, however, seems to hold that normal people reject propositions that evidence shows are untrue, so those who accept known falsehoods are thought to be brainwashed, ignorant, and even stupid. Yet no one seems to notice how much that is false or unknown to be true plays in people’s lives. In contrast to the conventional wisdom, people do not easily relinquish their beliefs. Consider the vast role religious beliefs play in people’s lives. Even the only nominally religious, who rarely practice what they preach, seldom abandon their beliefs when chided for hypocrisy. Of course, religious dogma is never known to be true, but religious people accept it as though it were. The actual status of the belief is irrelevant. Although the United States has no state religion, its officials routinely ask an unnamed and unidentified God to bless it, and when nothing happens, no one seems to care. The world of religious belief is unrelated to secular reality. Aspects of religious belief can be used to explain what people find bewildering. A person who continues to believe something after it has been shown to be false is nevertheless convinced of its truth. That conviction must have some foundation. For the religious, the source is scripture which conveys the infallible word of God. Belief in scriptural maxims, even when experience shows them to be false, cannot be questioned. The conviction of a true believer is so absolute that it cannot be abandoned. Regardless of what the religious person sees with his own eyes, he believes the religious maxims which have been revealed in scripture. When scripture is mentioned, most people think of the Bible or the Koran, but scripture takes numerous forms. Adam Smith’s Wealth of Nations functions as scripture; so does Karl Marx’s Das Kapital because many consider the contents fundamentally true, beyond question. Capitalism and Communism are both ideologies and the books are their Bibles. But the free market economy of Adam Smith in two centuries has not demonstrated its effectiveness in providing for the welfare of people in general. Nevertheless economists believe in it without serious objection and ignore criticisms of it. Beliefs which cannot be dismissed even when shown to be dubious ideologies. Religions are ideologies; so are economic theories. The unquestionable conviction of true believers is the only thing that explains the hypocritical reality of believing what has been shown to be false. These ideologies are the creeds men live by. In this sense, all people are true believers. Believing is woven into the fabric of our DNA. Even scientific and technological activities are founded on faith in an ideology. Scientists believe that the scientific method will yield knowledge that is beneficial to mankind. The belief is rarely questioned, but no evidence supports that view. That scientific knowledge is beneficent is just another belief. Science has brought humanity environmental pollution, global warming, and atomic bombs. What comparable benefits has it produced? The belief in science is no more certain than the belief in a second coming. The ultimate benefits of scientific knowledge are not obvious; yet people are rarely made aware of that, because the value of the ideology cannot be questioned. 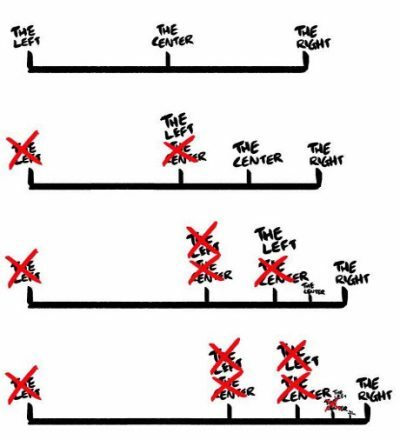 Groups adopt ideologies. When two incompatible ideologies clash, resolution is unlikely; violence is. Faith in beliefs is not a reliable guide to living. Today the Earth’s population seems to be comprised of numerous incompatible ideological groups. As long as faith, belief, and opinion are strong influences on behavior, most people will continue to endure deplorable human conditions. Humanity’s only salvation is a revival of morality based on a simple maxim that all can understand. Something like the Hippocratic Oath. Do no harm to anyone! Otherwise, humanity’s future is grim. But the bewilderment mentioned in the first paragraph of this essay can easily be dissolved. In a democracy, when people vote, they generally believe they are voting for a person. They are not! People vote for an ideology, and nothing the candidate says that is not directly related to it has any relevance. It’s just puffery.